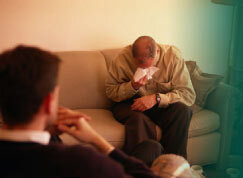 If you thought your friends and family were normal, you may not be so sure after reading the DSM IV. For example, let's take your friend Suzy who, due to a series of failed relationships, thinks all men are brainless creeps. According to the DSM, Suzy is suffering from "Hypoactive Sexual Desire Disorder" (billing code 302.71). How about your buddy Allen who spends hours a day on the Internet. Allen definitely sounds like he has "Obsessive Compulsive Disorder" (billing code 300.3), not that he enjoys reading, researching or playing Internet games. Or how about Mom, who is depressed over the death of her brother? Mom is obviously "Bipolar I" (billing code, 296.51), or if she has been depressed more than 2 months she could have "Bereavement Disorder" (billing code, V62.82). For 52 years, psychiatrists have promised, with each new edition of the DSM, scientific research backing up their claims for all their newly invented "mental illnesses" listed in the DSM. In 1952, the American Psychiatric Association published the first edition of the DSM which had about 60 different mental disorders. 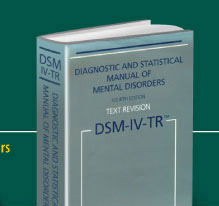 In 1968 they published the DSM II. The first two editions of the DSM categorized mental illness into psychosis and neurosis -- "psychosis" being considered the more severe break with reality, and "neurosis" being defined as a distortion of reality. "For most of the DSM-III disorders . . . the etiology [the cause or origin of a disease] is unknown. A variety of theories have been advanced, buttressed [supported] by evidence not always convincing to explain how these disorders come about." "The way to sell drugs is to sell psychiatric illness." "Only in psychiatry is the existence of physical disease determined by APA presidential proclamations, by committee decisions, and even, by a vote of the members of APA, not to mention the courts". "Developmental Arithmetic Disorder: Dislike doing homework." "Any mood disturbance due to General Medical Condition"